Cost: Vinyl fences, though very durable, tend to cost more than wood fences to install, and if you’ve got a large area that needs to be protected by the fence, you’ll be facing more upfront costs if you choose vinyl instead of wood. That said, however, wood fencing’s susceptibility to insect infestations, rot, and water damage -- even with proper maintenance -- can cost a lot to repair over the years. A wood fence therefore may end up costing you more in the long run than a vinyl fence might. Durability of materials: Vinyl fences are made of PVC plastic and tend to be extremely durable for most weather changes (except for extremely hot temperatures, as repeated exposure to high temperatures can damage the vinyl); high winds can also cause the vinyl to crack or break in spots. Wood can also handle some seasonal weather changes, but water damage from winter and spring rain and/or snow can make wood fences more susceptible to rot and warping -- especially if they are repeatedly exposed to these elements and do not dry quickly enough. Maintenance issues: Even though the natural patina of wood as it ages is desirable for some homeowners, yearly maintenance is still required in order to avoid or lessen some of the disadvantages associated with wood fences. Regardless of weather patterns in your area, your wood fence must be cleaned a few times per year to avoid mold and rot. 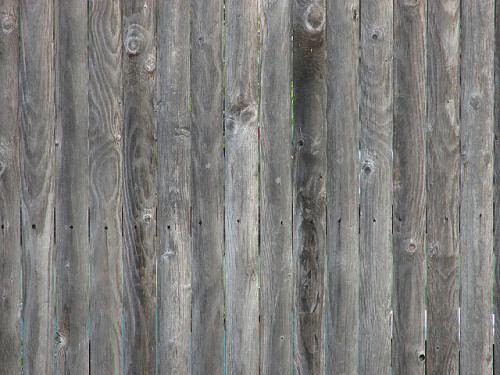 Staining or repainting every few years will also go a long way in maintaining a wood fence. By contrast, vinyl fences tend to be much easier to maintain; you do not need to repaint it, and a power-wash on occasion, or spot-cleaning with a sponge and a hose, will keep it looking almost new. Unlike wood, vinyl does not easily warp, rot, or get insect infestations. Appearance: Many fencing companies are beginning to offer more options for vinyl fencing in terms of color, style, and overall appearance, but for those who don’t like the “plastic” look of the material used in manufacture, a vinyl fence may not be a great option. The many customization options for wood fences have kept it a mainstay of landscaping and home design in the U.S., and many homeowners love its natural look regardless of the hundreds of stain and painting options that are available. Whichever material you choose for your new fence, it’s crucial to remember that it’s going to be built on your property -- so incorporating design elements that you enjoy is important! Anna Hall writes for Networx.com.